You may experience psychic attack in many forms, and on many levels; the very nature of psychic attack is energetic and subliminal. It may come from unsupportive and negative friends, family or coworkers, product advertising, TV and news reports, EMF, microwave and radio sources, and yes, non-human sources, such as disembodied spirits, and demonic and alien entities. This program will give you easy and enjoyable techniques you can use to help build and reinforce your psychic shield, as well as encouragement and support. It also is programmed with brain balancing binaural beats, set to chakra balancing Solfeggio frequencies. 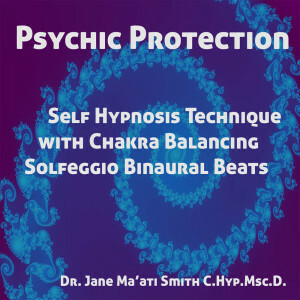 We have chosen the Solfeggio tones of 639 hz (the Heart Chakra) and 852 hz (the Brow Chakra) to help you to strengthen and balance your aura against psychic intrusion.